Here is a discussion that starts with a surprising diagnosis of Autism at the age of 16. It goes on to consider issues of identity with borderline Asperger’s. They thought I was lazy…when I was just actually autistic. This is one of many perceptive reflections on life through one female Asperger’s lens. Click icon for article. The writer shares some difficulties he experiences trying to mix socially with neurotypical people. Click icon for article. Writers often ask “What is Asperger’s Syndrome?” The boot is on the other foot in this article. For example, it may be difficult to get an opinion from a Neurotypical person. Click icon for article. A mother of two children with profound developmental impairments questions Simon Baron-Cohen’s description of autism as a variant like left-handedness or homosexuality. Click icon for article. No, we are not all a little bit autistic. Click icon for article. Here is a message to all the self-diagnosed autistic people. Click icon for article. It concludes, Trust yourself. Trust the research you’ve done. … Self-diagnosis grants us access to our community and resources to help us live better lives and self-understanding that can radically change how we live. See also about Sabrina. Ido is non-verbal but this does not stop him from keeping a blog. In his mother’s guest post she says, I thought, “Okay, say something now before this becomes a pattern and he becomes insulted.” As tactfully as I could, I mentioned to her that Ido doesn’t like “high five.” He wants to be spoken to normally. … Regularly, Ido gets letters from parents telling him that they now speak normally to their child with autism, thanks to his advice, and that their child is responding positively. Click icon for article. A father, husband, and poet on the autism spectrum. His favourite poets are spoken word artists like Neil Hillman. Click icon to see his profile. 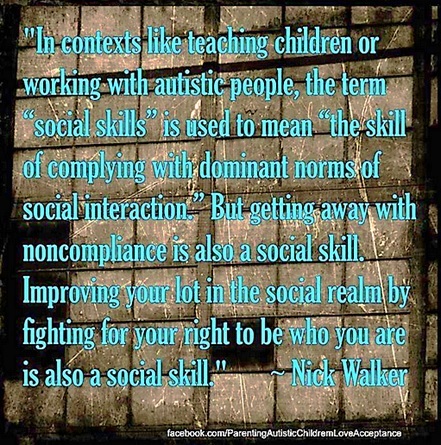 See blog for more contributors to Learn from Autistics. See also Poems. All my fingers in perfect order moving in a rhythmic order its calming to me like the sight of a quiet ocean gently coming in and out to shore. Having all the same foods creates less anxiety and means I don’t have to starve myself. Without those plans I have no idea what to expect or whats going on, I depend on those plans to live and without them I just fall apart. Click icon to read article. 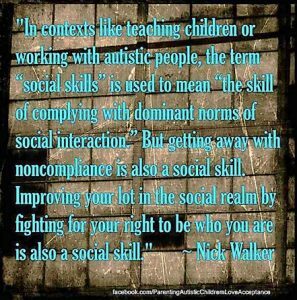 This article it titled, Oh, the Autistic Humanity … of Neurotypical Rejection of Autism’s Resident Experts. Perhaps the nub of the article is, I mean, we’re right here, in all our autistic glory, with tons of insight and experience just waiting to be tapped. … Yet, we’re pushed to the side, and research and conversations march on without us. The author describes herself a former social scientest because, I believe, based on my own observations, that it’s impossible for any of us to interact with others and not be personally affected / involved. Humans are not built that way, and pretending otherwise just seemed like a big ole exercise in but-we’re-really-a-science! hubris. Click–icon to read article. This is my first April as an autistic person. I know I’m autistic and I know Charles is too, but I also know now that we are not lost. Click icon to see. Passing is not good for your mental health. It teaches us to have shame in who we are. It gives a message that we are not good enough. Passing takes up so much of an autistic person’s limited social energy that we go home and have sensory meltdowns the minute we can be alone. When I was a child – and even now with work – I could hold things together through the school day but would come home and fall apart. Doing damns the darkness. Every now and then I am reminded, with a shock, that the world isn’t what it used to be for many people with intellectual disabilities. An adult on the spectrum wants others to see where she is coming from. Click picture to read her essay. They may not always understand exactly what you’re saying or where you are coming from when you explain things to them, as they themselves are in a different reality completely, only connected to yours when the waves are crossed and you can look through their eyes with both understanding and patient communication, the thing many struggle with. 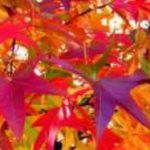 This is a wide ranging letter from someone with autism to autism parents, with comments at the bottom of the page. I decided, aged 36, to request an assessment for autism because things have not been easy for me. You see, there’s lots about my autism that isn’t visible. And yet, my experience of the world shares some similarities with that of your child. The author calls herself Mamma Pineapple.